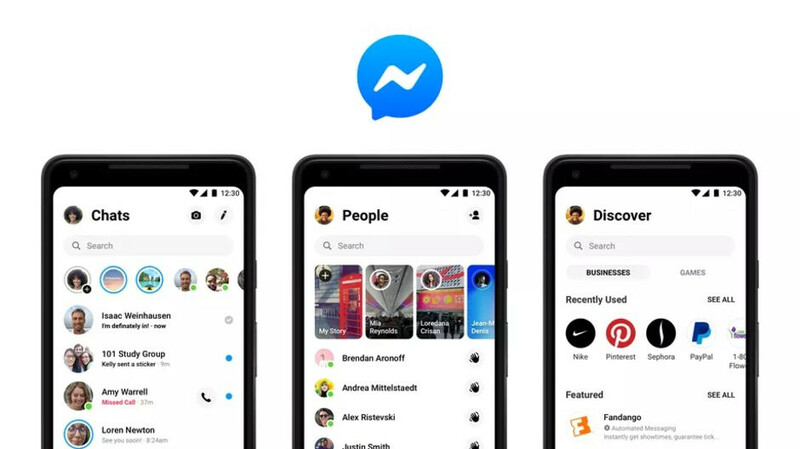 Facebook revealed plans for a complete overhaul of the Messenger app last year at the F8 developer conference, but it took the social network giant almost eight months to finally bring it to all users. Now, the app has been slowly rolling out to some Android and iOS users in selected countries, but a wider rollout commenced today, The Verge reports. The most important changes as highlighted in our previous story is the compacted design with just three tabs as seen in the picture below, as opposed to nine that were available in the previous Messenger version. But something that some people seem to be bothered of is the new predominant white color, which is likely to drain the phone's battery more than usual. The icons are now bigger, but the overall design is much cleaner since many of the tabs are now hidden behind a four-dot icon. 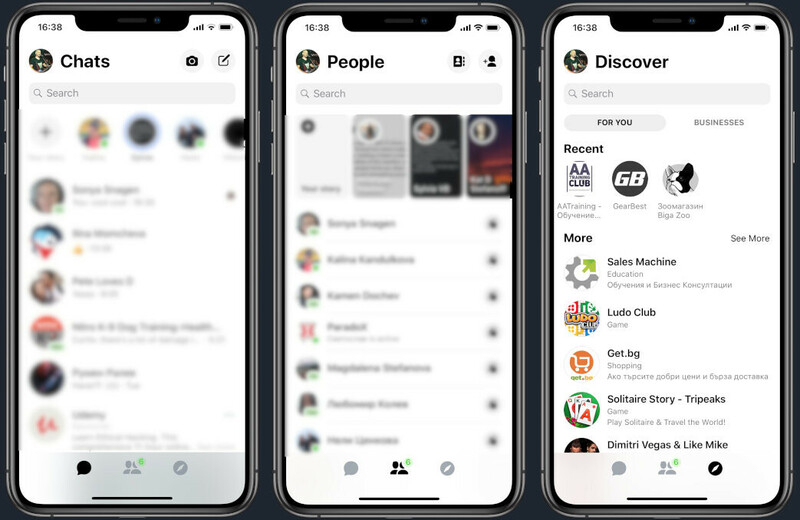 The new version of Messenger has already popped up in the App Store and Google Play Store, and, as we expected, it doesn't bring any new features, just a major redesign of the app. "Facebook revealed plans for a complete overhaul of the Messenger app last year, but it took the social network giant almost eight months to finally bring it to all users" "It doesn't bring any new features" Had to be Facebook. What's with these companies? I'm glad I don't support them. Not for me, I don't use that spyware. The bold text makes it harder to see the new messages.